SKSE A ""MUST HAVE"" IN ORDER TO RUN THIS MOD PROPERLY AND NOT CRASH YOUR GAME!!! 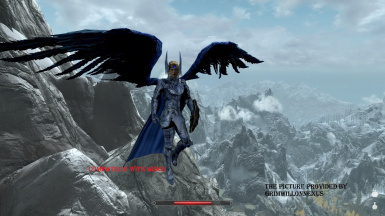 Combat Fixes for Flying Mod Beta My mod is only a script override, so you must install this first. 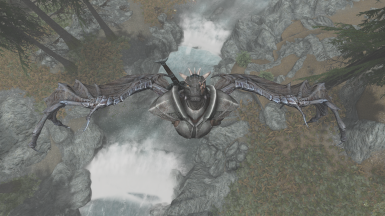 Vonun Dov - The Dragonkin (WIP) Absolutely must have, I made the Race start off with the Flying spells. 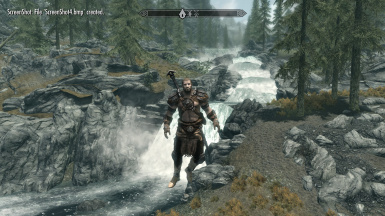 It adds the ability to FLY for player and NPC Followers. The mod adds 3 minor powers. HOW TO GET THE POWERS? Those abillities come in form of spell/powers, you can easily buy them from Magic vendors. Tolfdir, for example. 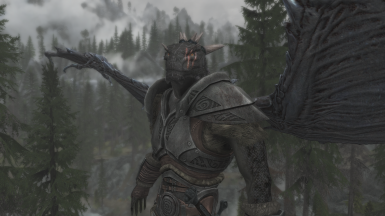 The price is moderate, so it wont be a problem for even the most money saving Dovahkiin. for reviewing this mod on his youtube channel! Install the mod with NMM. YOU HAVE TO DOWNLOAD FNIS AND SKSE IN ORDER TO RUN THIS MOD AND NOT BREAK YOUR GAME! THE SKSE INSTALLATION TUTORIAL COULD BE FOUND EASILY AS WELL AS FNIS. i HAVE PROVIDED LINKS BOTH FOR FNIS AND SKSE BELOW IN THE REQUIREMENTS SECTION. BELOW, I BRIEFLY TRIED TO COVER THE MAIN STEPS OF WHAT HAS TO BE DONE IN FNIS FOR THE PROPER INSTALLATION OF THIS WORK. PLEASE READ CAREFULLY!
"" OPEN FNIS FOR USERS AND CLICK UPDATE, YOU MIGHT REQUIRE AN ""ARM FIX FOR CUSTOM SKELETONS"" (ALREADY INCLUDED IN THE FNIS FOR USERS). AFTER FNIS WILL FINISH UPDATING THE ANIMATION FILES,JUST CLOSE THE WINDOW. IN CASE A FIX IS NEEDED, FIND ON THE SPECIFIED BY FNIS PROGRAM FIX IN THE BAR BELOW, CHOOSE IT AND CLICK UPDATE AGAIN. AFTER IT IS DONE, CHECK THAT THERE ARE NO ERROR NOTIFICATIONS/MESSAGES. IF SUCCESSFUL CLOSE THE PROGRAM, IF NOT LOOK FOR THE ERROR MESSAGE IN THE STATUS BAR.AFTER YOU FINISH THIS - RUN THE GAME USING THE SKSE PLUGIN! IT IS CRUCIAL!!!"" Everything was converted for Skyrim Special Edition and need no further adjustments. Previous game version, before 28.11.2017 update (for those who have mods running for previuos versions) OR THE LATEST VERSION. WAS ADDED NOW AS AN OPTIONAL FILE. Just install it after the main file.